The Left Of The Home. Charming, mint-condition Colonial steps to Gooch Park, Cedar Park train and downtown making this a hometown and commuter dream! This home has been so well-maintained and updated, you truly can move right home. Welcoming living room hosts a wood-burning fireplace with lovely hearth, opening to the dining room through an arched doorway. Kitchen boasts granite countertops, stainless appliances, maple cabinetry and a dining bar, bathed in natural light from the adjoining family room. Enjoy lazy weekend days on the deck, expanding your entertaining space too. Renovated full bath with radiant floor heat, an awesome feature on cooler mornings. Hardwood floors grace the living and dining room as well as the bedrooms. Professionally landscaped, fenced flat yard offers great space for play or garden. The sellers have been terrific stewards: roof, landscaping,fencing, painting & baths. 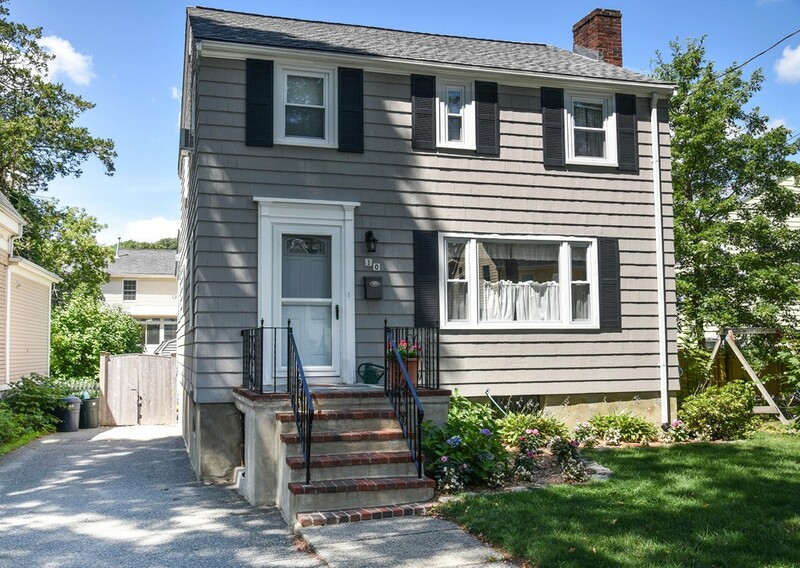 This home is perfectly located close to the Fells, schools, parks, train, bus and Melrose's envied shops & more!